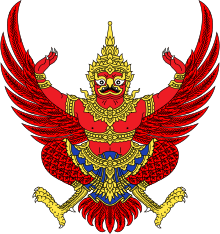 Created in 1852, the Royal Thai Armed Forces came into existence as permanent force at the behest of King Mongkut, who needed a European trained military force to thwart any Western threat and any attempts at colonialisation. By 1887, during the next reign of King Chulalongkorn, a permanent military command in the Kalahom Department was established. However the office of Kalahom and the military of Siam had existed since the days of the Sukhothai Kingdom in the 13th century. In fact the history of the Kings of Siam is teeming with tales of military conquest and power. 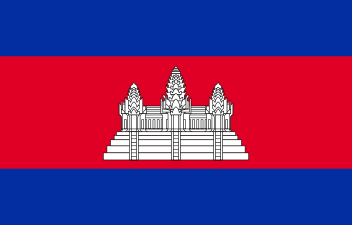 However, since 1932, when the military, with the help of civilians, overthrew the system of absolute monarchy and instead created a constitutional system, the military has dominated and been in control of Thai politics, providing it with many prime ministers and carrying out many coups d'état, the most recent being in 2014. The Head of the Thai Armed Forces (จอมทัพไทย; rtgs: Chom Thap Thai) is King of Thailand, however this position is only nominal. 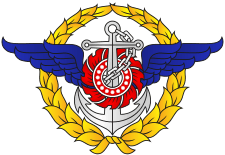 The armed forces are ostensibly managed by the Ministry of Defense of Thailand, which is headed by the minister of defence (a member of the Cabinet of Thailand) and commanded by the Royal Thai Armed Forces Headquarters, which in turn is headed by the Chief of Defence Forces of Thailand. Some critics have contended that, in reality, the Thai armed forces serve two main functions: a) to safeguard ruling class rule from challenges by mass movements to expand the democratic space, and b) to satisfy the self-enrichment goals of the upper echelons of the Thai military. As of 2015, the Royal Thai Armed Forces had 306,000 active duty and 245,000 reserve personnel, representing 0.8 percent of Thailand's population of 67 million. This percentage is higher than that of the US, but lower than that of its neighbour, Vietnam. 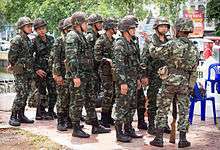 :5  The Thai military has more than 1,750 flag officers (generals and admirals), a bloated number for a military of its size. 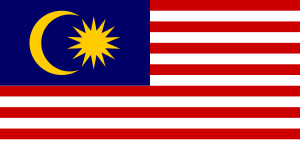 By comparison, the US military as of April 2011 had 964 flag officers for a force several times the size of Thailand's. On 2 May 2015 1,043 new flag officers of all three services promoted in 2014-2015 took the oath of allegiance. It is not clear how many retired during the same period. According to the Constitution of the Kingdom, serving in the armed forces is a duty of all Thai citizens. However, only males over the age of 21 who have not gone through reserve training are subjected to a random draft. Those chosen randomly are subjected to twenty-four months full-time service, while volunteers are subjected to eighteen months service, depending on their education. 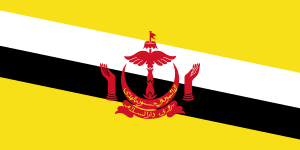 The Royal Siamese Armed Forces was the military arm of the Siamese monarchy from the 12th to the 19th centuries. It refers to the military forces of the Sukhothai Kingdom, the Ayutthaya Kingdom, the Thonburi Kingdom and the early Rattanakosin Kingdom in chronological order. 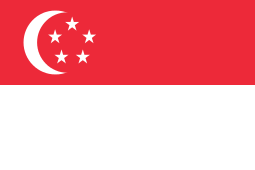 The army was one of the major armed forces of Southeast Asia. To attack British India, British Burma and Malaya, the Japanese Empire needed to use bases in Thailand. By playing the British Empire against Japan, Prime Minister Phibunsongkhram was able to maintain a degree of neutrality for some time. However, this ended in the early hours of 8 December 1941, when Japan launched a surprise attack of Thailand at nine places along the coastline and from French Indo-China. The Thai forces resisted, but were soon being overwhelmed. By 07:30, a frightened Phibun ordered an end to hostilities, though resistance continued for another day until all units could be notified. Phibun signed an armistice with Japan that allowed the empire to move its troops through Thai territory. After that Thailand became part of the Axis when Phibun declared war on the United Kingdom and the United States. (The Thai ambassador to Washington refused to deliver the declaration and the United States continued to consider Thailand an occupied country.) An active and foreign assisted underground resistance movement, the Free Thai, was largely successful and helped Thailand to rehabilitate after the war and be treated as a friendly rather than an enemy nation. 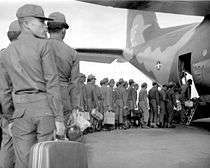 During the United Nations-mandated conflict in the Korean peninsula, Thailand provided a reinforced 1st Battalion from the 21st Infantry Regiment, Some 65,000 Thais served in Korea during the war. In 1953 the contingent participated in the Battle of Pork Chop Hill. At various times the battalion was attached to U.S. 187th Airborne Regimental Combat Team and the British 29th Infantry Brigade. The kingdom also provided four naval vessels (HTMS Bangprakong, Bangpako, Tachin and Prasae) and an air transport unit to the UN command structure. The contingent was actively engaged and suffered heavy casualties, including 139 dead and over 300 wounded. They returned to Thailand in 1955. 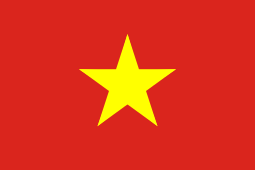 Due to its proximity to Thailand, Vietnam's conflicts were closely monitored by Bangkok. Thai involvement did not become official until the total involvement of the United States in 1963. Thailand allowed the United States Air Force in Thailand to use air bases and naval bases for US forces. Eventually, it contributed infantry units and other resources. The Thai armed forces suffered 1,351 deaths. However, Thailand was more involved with the Secret War and covert operations in Laos from 1964 to 1972. By 1975 relations between Bangkok and Washington had soured, and in 1977 President James Earl Carter withdrew all US military personnel and US bases were closed. The communist victory in Vietnam in 1975 emboldened the communist movement in Thailand, which had been in existence since the 1920s. After the Thammasat University massacre of leftist student demonstrators in 1976 and the repressive policies of right-wing Prime Minister Tanin Kraivixien, sympathies for the movement increased. By the late-1970s, it is estimated that the movement had as many as 12,000 armed insurgents, mostly based in the northeast along the Laotian border. By the 1980s, however, all insurgent activities had been defeated. In 1982 Prime Minister Prem Tinsulanonda issued a general amnesty for all former communist insurgents. This was a small conflict over mountainous territory including three disputed villages on the border between Sainyabuli Province in Laos and Phitsanulok Province in Thailand, whose ownership had been left unclear by the map drawn by the French some 80 years earlier. Caused by then-Army commander Chavalit Yongchaiydht against the wishes of the government, the war ended with a Lao virtual surrender and return to status quo ante bellum. The two nations suffered combined casualties of about 1,000. 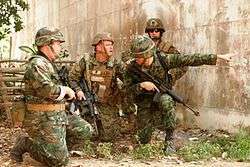 After the successful US invasion of Iraq, Thailand contributed 423 non-combat troops in August 2003 to nation building and medical assistance in post-Saddam Iraq. 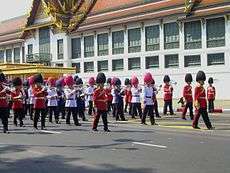 Troops of the Royal Thai Army were attacked in the 2003 Karbala bombings, which killed two soldiers and wounded five others. However, the Thai mission in Iraq was considered successful, and Thailand withdrew its forces in August 2004. 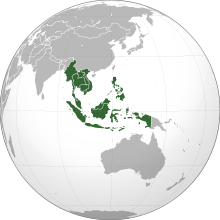 The mission is considered the main reason the United States decided to designate Thailand as a major non-NATO ally in 2003. The ongoing southern insurgency began long before 2004, waged by the ethnic Malays and Islamic rebels in the three southern provinces of Yala, Pattani, and Narathiwat, but it had always been small scale. The insurgency intensified in 2004, when terrorist attacks were extended to ethnic Thai civilians in the provinces. 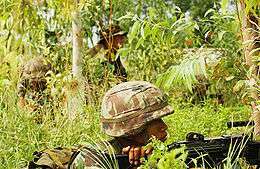 The Royal Thai Armed Forces in turn responded with strong armed tactics. By the end of 2012 the conflict had claimed 3,380 lives, including 2,316 civilians, 372 soldiers, 278 police, 250 suspected insurgents, 157 education officials, and seven Buddhist monks. The NCPO said that the reason for its latest order is that there are simply not enough police, in spite of the fact that there are about 230,000 officers in the Royal Thai Police force. They make up about 17 percent of all non-military public servants. This amounts to 344 cops for every for every 100,000 persons in Thailand, more than twice the ratio in Myanmar and the Philippines, one and a half times that of Japan and Indonesia, and roughly the same proportion as the United States. ↑ "Manpower Reaching Military Age Annually". Global Firepower. Global Firepower. Retrieved 16 October 2014. ↑ Military History. www.globalsecurity.org. Retrieved on 18 January 2012. ↑ Chapter 2 of the 2007 Constitution of Thailand. En.wikisource.org. Retrieved on 18 January 2012. ↑ Ministry of Defense. www.globalsecurity.org. Retrieved on 18 January 2012. ↑ Ungpakorn, Giles Ji (2016-02-06). "Why Does Thailand Need an Army?". Uglytruth-Thailand. Retrieved 25 March 2016. ↑ Eoseewong, Nidhi (2016-02-19). "What's the point of having a military?". Prachatai English. Retrieved 27 March 2016. 1 2 UNTAET. Un.org. Retrieved on 18 January 2012. 1 2 Chambers, Paul (2015). Civil-Military Relations in Thailand since the 2014 Coup; The Tragedy of Security Sector "Deform". Frankfurt: Peace Research Institute Frankfurt (PRIF). ISBN 978-3-946459-04-0. Retrieved 22 June 2016. ↑ "Active Military Manpower by Country". Global Firepower. Global Firepower. Retrieved 16 October 2014. ↑ Cole, John; Sciacchitano, Steve (1 October 2013). "Thai army: new line-up, same fault-lines". Asia Times. Retrieved 4 April 2015. ↑ "How bad is our bloat of generals? How does it compare with other armies?". The Fabius Maximus website. Retrieved 27 June 2015. ↑ "New generals take oath before the Crown Prince". National News Bureau of Thailand (NNT). 3 May 2015. Retrieved 3 May 2015. ↑ "Bullets, cluster bombs at Thai arms fair despite censure over junta rule". Agence France Presse. 2015-11-04. Retrieved 8 November 2015. ↑ "Thailand Raises Defence Budget 5%". Defense Studies. 2014-07-17. Retrieved 8 November 2015. ↑ "Thai junta-picked MPs give military $124m budget hike". Daily Times. Agence France-Presse. 9 September 2016. Retrieved 9 September 2016. ↑ Grevatt, Jon (2016-05-17). "Thai government proposes small increase in defence spending". IHS Jane's 360. Retrieved 18 May 2016. ↑ Feature Articles – Thailand and the First World War. First World War.com (22 August 2009). Retrieved on 2012-01-18. ↑ 90th Anniversary of World War I. This Is The History of Siamese Volunteer Crop. 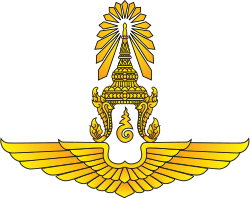 Thai Military Information Blog. Thaimilitary.wordpress.com (11 November 2008). Retrieved on 2012-01-18. ↑ Thailand. Lcweb2.loc.gov (8 December 1941). Retrieved on 2012-01-18. ↑ Free Thai. Insigne.org. Retrieved on 18 January 2012. ↑ Rottman, Gordon (2002). Korean War Order of Battle: United States, United Nations, and Communist Ground, Naval, and Air Forces, 1950-1953. Praeger. pp. 120–121. ISBN 9780275978358. ↑ Satjipanon, Chaiyong (22 June 2010). "Heroism of the Little Tigers". The Korean Herald. Retrieved 22 June 2016. ↑ Thailand Communist Insurgency 1959–Present. Onwar.com. Retrieved on 18 January 2012. 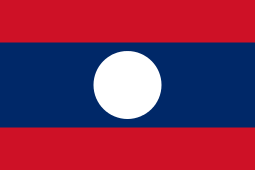 ↑ Thailand-Laos Border War 1987–1988. The History Guy. Retrieved on 18 January 2012. ↑ Thailand to withdraw troops from Iraq if attacked. Asian Tribune (21 April 2004). ↑ Karbala attacks kill 12, wound dozens. CNN (27 December 2003). Retrieved on 2012-01-18. ↑ Search – Global Edition – The New York Times. International Herald Tribune (29 March 2009). Retrieved on 2012-01-18. ↑ Thailand's counter-insurgency operations. Janes.com (19 November 2007). Retrieved on 2012-01-18. ↑ "Affront to justice system" (Editorial). Bangkok Post. 2016-04-01. Retrieved 4 April 2016. ↑ "The Dissemination of the Final Constitution Draft and the issuance of the Head of the NCPO's Order No. 13/2559" (Press release). Ministry of Foreign Affairs of the Kingdom of Thailand. 2016-04-03. Retrieved 4 April 2016. ↑ "In the dark on army's shadowy powers" (Editorial). Bangkok Post. 2016-04-03. Retrieved 4 April 2016. ↑ "Giving soldiers police powers 'wrong': human rights groups". The Nation. Agence France Presse. 2016-04-05. Retrieved 5 April 2016. ↑ [The Institute for National Security Studies", chapter Israel, 2008] 23 March 2008. ↑ Thailand. Lcweb2.loc.gov. Retrieved on 18 January 2012.